Finally, a complete adult foot casting kit. Perfect for making custom shoes or for the sheer delight of having a 3D stone sculpture of your beautiful feet. This procedure is simple enough you could do it all by yourself but getting a friend to help makes it easier and more fun. We use our Mix-In-The-Bag technique so cleanup is very easy. 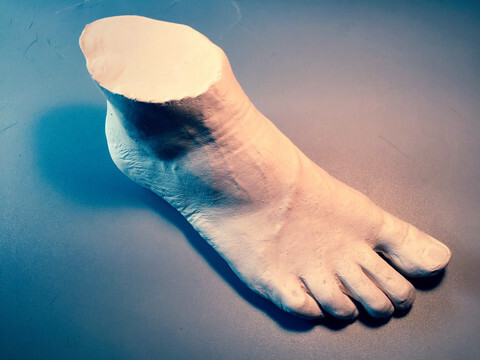 With this kit you can make individual molds and castings of two adult sized feet- up to about size 14. If you have bigger feet, you'll probably have to do the technique described here. Used by sculptors, prosthetists and cobblers.